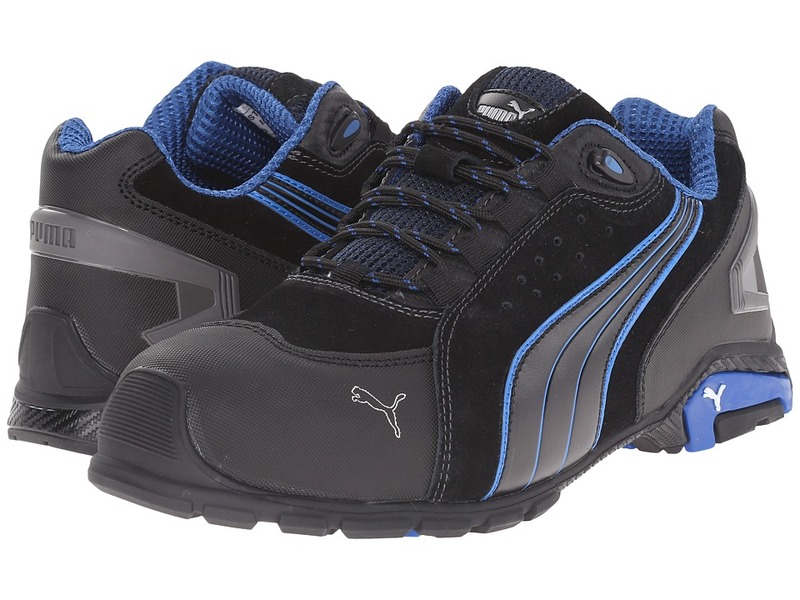 Stay steady on your feet every work day with the reliable traction and support of the Rio from PUMA Safety. Style number: 642755. 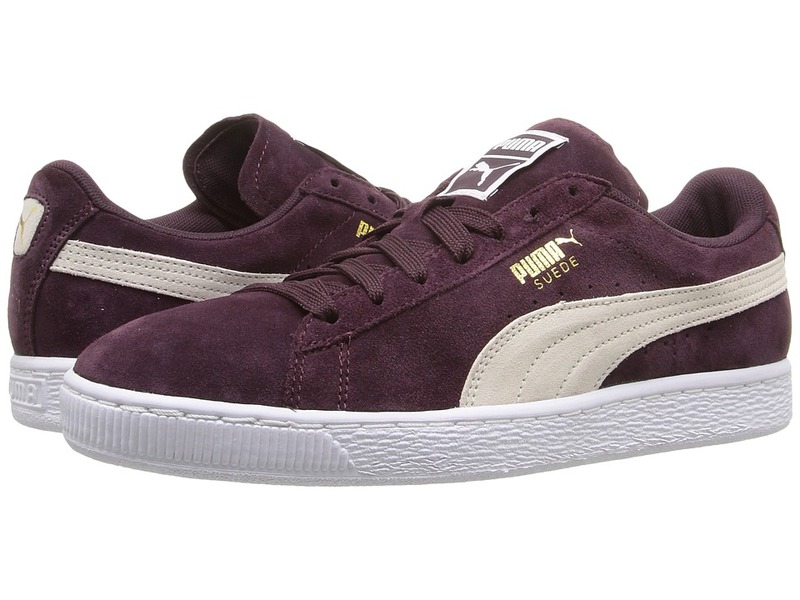 Water-resistant suede leather upper. Features a fiberglass reinforced composite toe cap with a spacious toe area for added comfort. Erogonomic last shape for a more modern design. Traditional lace-up system for a secure fit. BreathActive functional lining offers a breathable, more comfortable foot environment. Anatomically formed, removable evercushion BA footbed provides excellent underfoot comfort and support. The iCell element in the heel area improves the cushioning and enhances the shoe~s stability, guidance, and comfort. Additional injected scuff protection in the toe area. TPU heel protection. TECHNICS PU outsole with different profile elements which offers better ground contact and optimal mobility. Meets or exceeds the highest ASTM F2413-11 standards for toe impact I/75 and compression C/75 protection. SD tested below 35 m0hms and specially designed to be worn, if electrostatic charges need to be reduced by controlled dissipation of charge. Imported. Measurements: Weight: 1 lb 9 oz Product measurements were taken using size 12, width W. Please note that measurements may vary by size. Weight of footwear is based on a single item, not a pair. 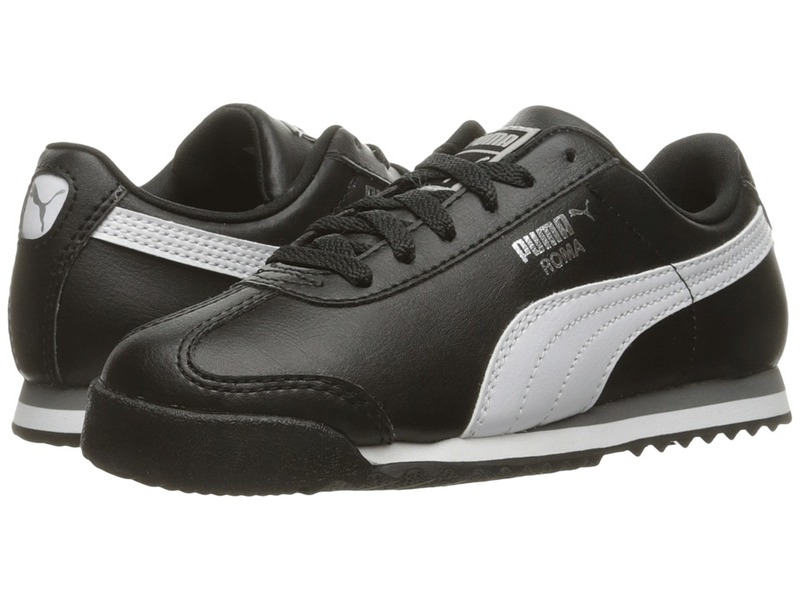 Show off your fierce drive when you~re walking the fairway in the PUMA Golf Pounce Polo. Performance fit features slightly wider shoulders, chest, and sleeves to ensure maximum comfort and freedom of movement during play. dryCELL performance fabric wicks away perspiration to promote a comfortably dry personal climate. UV Resistant Finish for added protection against the sun~s harmful rays. Fold-down collar. Two-button placket. Short sleeves. Straight back yoke with single-pleat detail. Cat Logo at left chest. 18 Hole brand tag at right side seam. Straight hemline. 100 percent polyester Upper-back Panel: 92 percent polyester, 8 percent elastane. Machine wash cold, hang dry. Imported. Measurements: Length: 26 in Product measurements were taken using size SM. Please note that measurements may vary by size. Always make a grand entrance with the Basket Classic LFS! Premium leather uppers with a round toe. A padded collar and tongue offers a comfy, cozy internal fit. Traditional lace up closure for secure fit. Gold foil PUMA logo above Formstripe logo. Soft and breathable woven mesh and lightly padded footbed for all-day comfort. Perforated woven textile Formstripe logo and PUMA Cat at rear. Low profile rubber midsole with a ribbed toe bumper for added toe protection. Rubber outsole. Imported. Measurements: Weight: 1 lb 1 oz Product measurements were taken using size 7.5, width B - Medium. Please note that measurements may vary by size. Weight of footwear is based on a single item, not a pair. 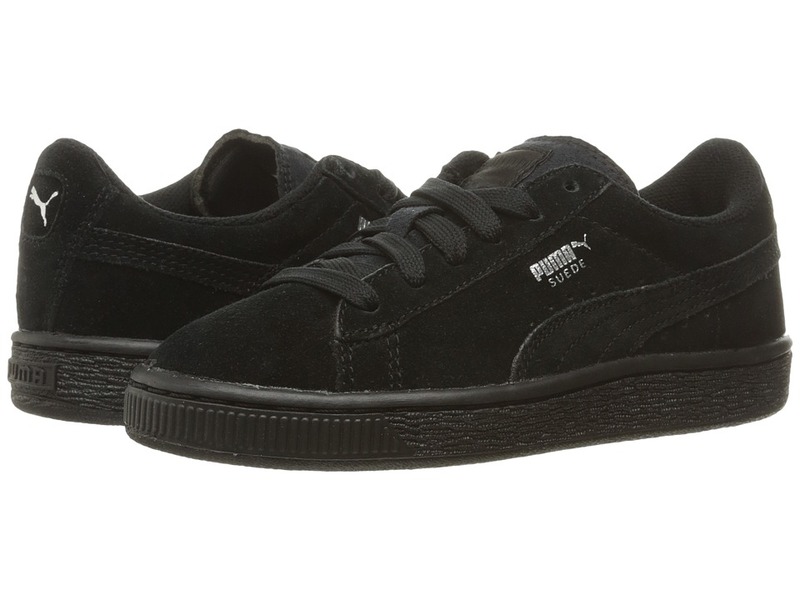 Keep it fresh with the streetwise swagger of the classic Puma Kids Suede PS sneaker! Suede upper with perforated detailing at midfoot. Lace closure for a snug fit. Removable Kinder-Fit sockliner and cushioned midsole for optimum comfort. Nonmarking rubber outsole for added grip. PUMA Formstrip at medial and lateral sides. Imported. Measurements: Weight: 8 oz Product measurements were taken using size 2 Little Kid, width M. Please note that measurements may vary by size. Weight of footwear is based on a single item, not a pair. 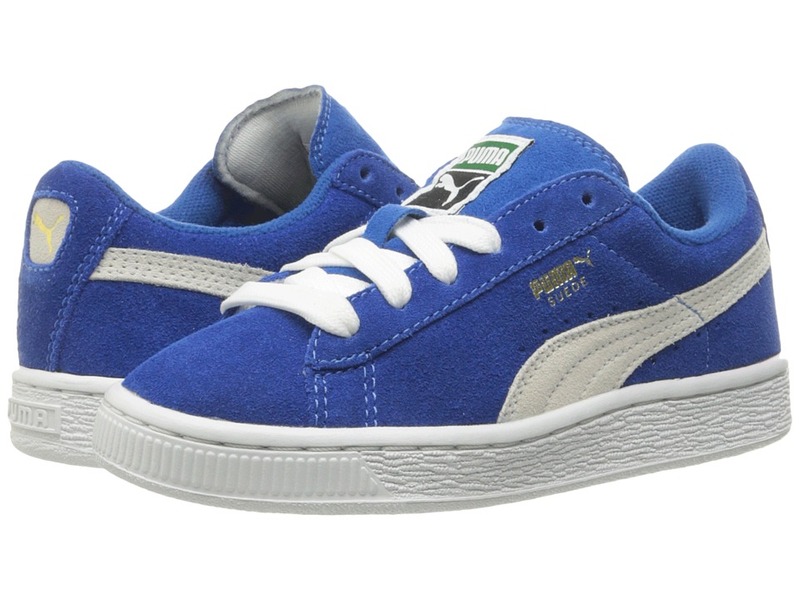 Keep it fresh with the streetwise swagger of the classic Puma Kids Suede Jr shoes! Suede upper with perforated detailing at midfoot. Lace closure for a snug fit. Removable Kinder-Fit sockliner and cushioned midsole for optimum comfort. Nonmarking rubber outsole for added grip. PUMA Formstrip at medial and lateral sides. Imported. Measurements: Weight: 11 oz Product measurements were taken using size 7 Big Kid, width M. Please note that measurements may vary by size. Weight of footwear is based on a single item, not a pair. 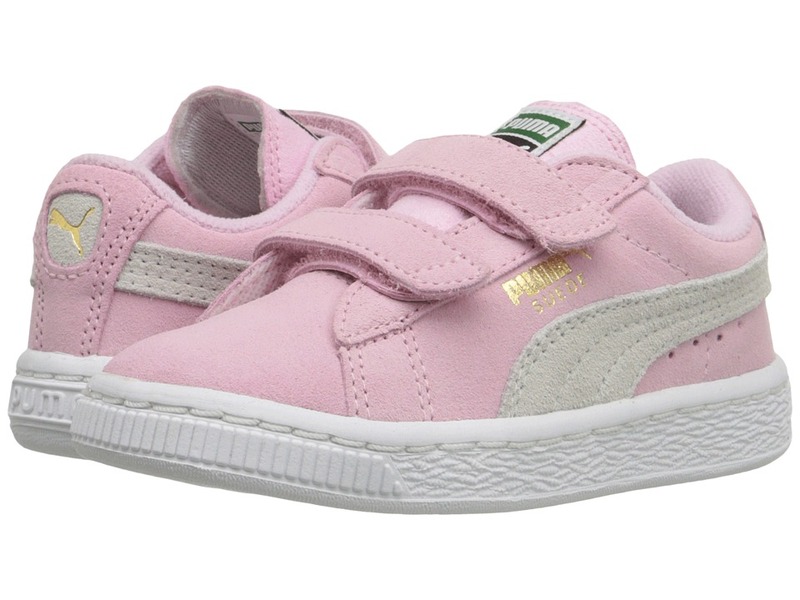 They~ve shrunk down the classic adult suedes into the PUMA Kids Suede 2 Straps Inf so you and your tiny one can be styling together! Suede upper with perforated detailing for a breathable wear. Hook-and-loop strap for easy on and off wear. Mesh lining for a breathable wear. Kinder-Fit sockliner. Cushioned midsole for soft toddler steps. Non-marking rubber outsole. Imported. Measurements: Weight: 8 oz Product measurements were taken using size 9 Toddler, width M. Please note that measurements may vary by size. Weight of footwear is based on a single item, not a pair. 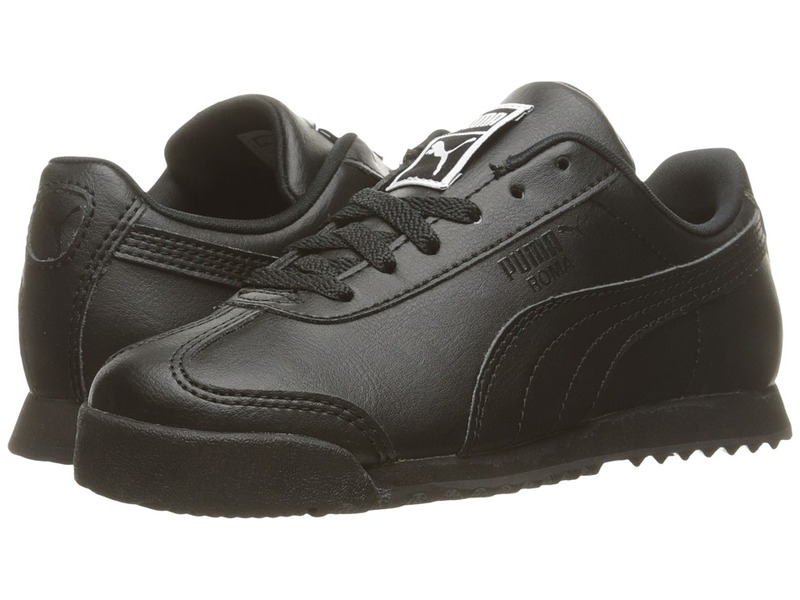 The Puma Kids Roma Basic PS will last throughout his or her school days with a soft, clean upper and comfortable wear! 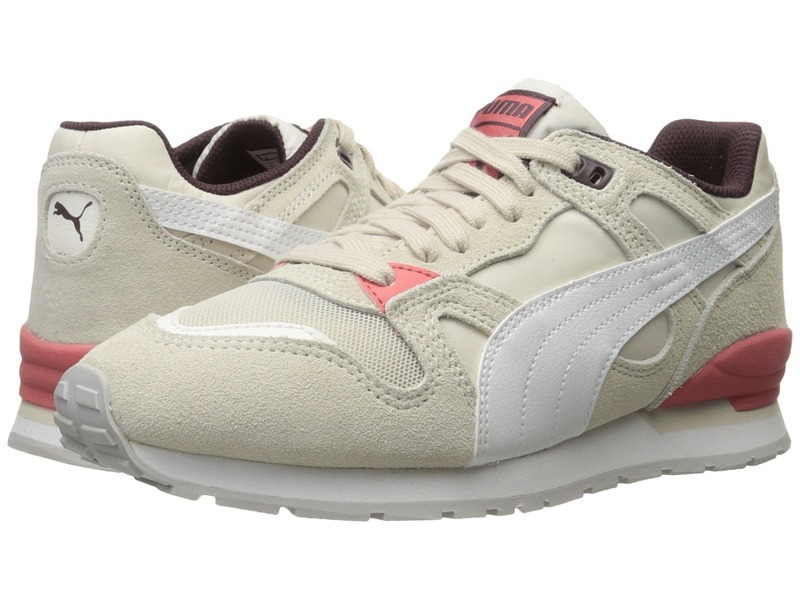 Pass with flying colors with Puma! Rich, smooth leather upper. Lightly padded collar for a snug, comfy fit. Textile collar lining with a cushioned footbed for all-day comfort. A traditional lace-up front with a lightly padded tongue combines for a secure fit. Woven PUMA label on tongue. Abrasion-resistant rubber toe bumper. EVA midsole. Rubber outsole for traction. Imported. Measurements: Weight: 5 oz Product measurements were taken using size 13 Little Kid, width M. Please note that measurements may vary by size. Weight of footwear is based on a single item, not a pair. 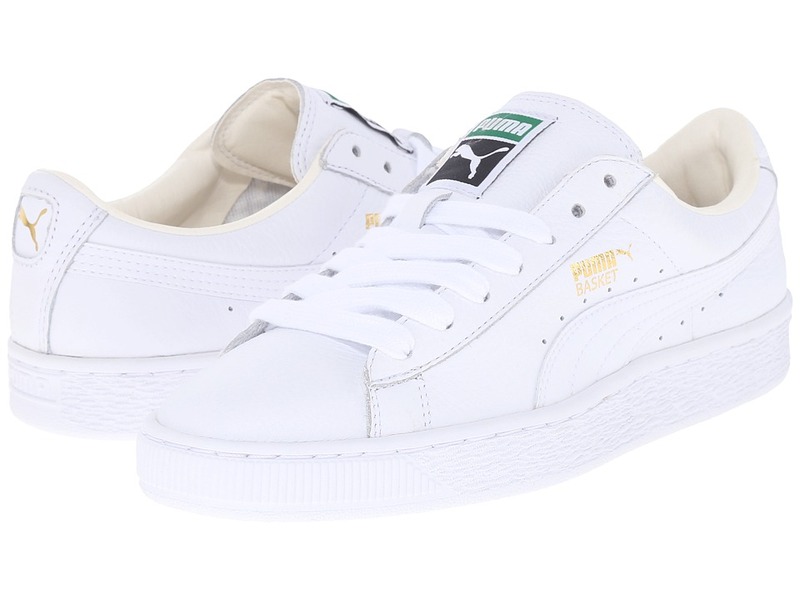 Keep it classic with the clean look of the PUMA Kids Roma Basic PS! Smooth leather upper. A traditional lace-up closure. Lightly padded collar for a snug, comfy fit. Textile collar lining with a cushioned footbed for all-day comfort. Abrasion-resistant rubber toe bumper. Two-tone EVA midsole provides ample cushioning and shock absorption. Rubber outsole for traction. Measurements: Weight: 5.2 oz Product measurements were taken using size 13.5 Little Kid, width M. Please note that measurements may vary by size. Weight of footwear is based on a single item, not a pair. 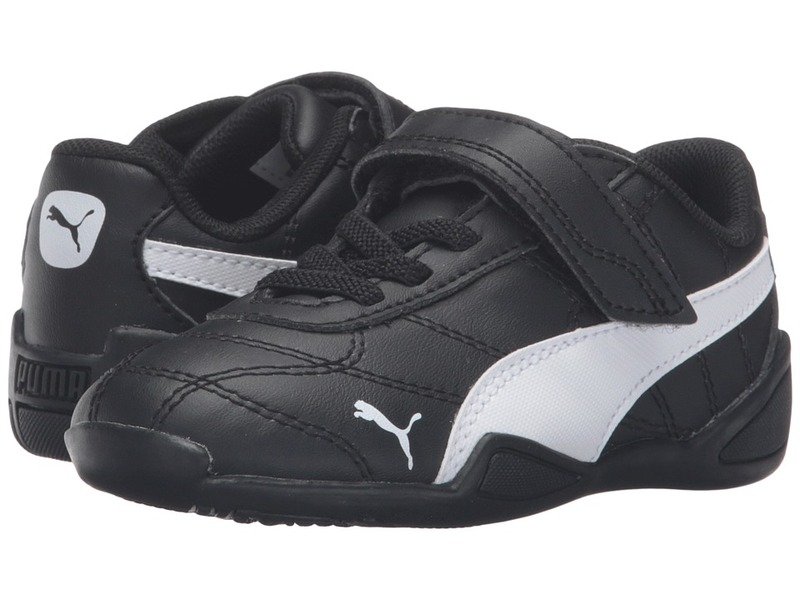 Keep your little one looking fast in the classic vibes of the PUMA Kids Tune Cat 3 V Inf moto-inspired sneaker! Sleek synthetic leather upper. Lace-up and hook-and-loop strap closures. 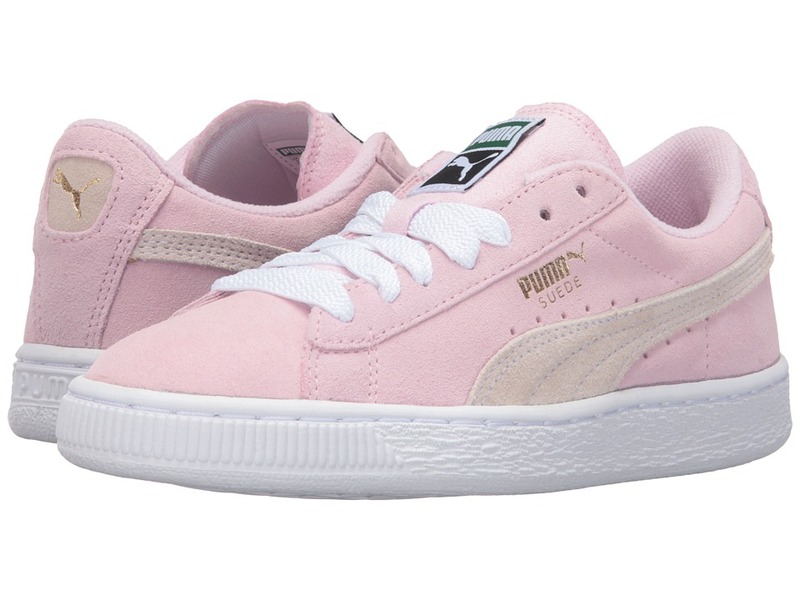 PUMA No. 1 logo on tongue. Contrast PUMA Formstripe at each side. 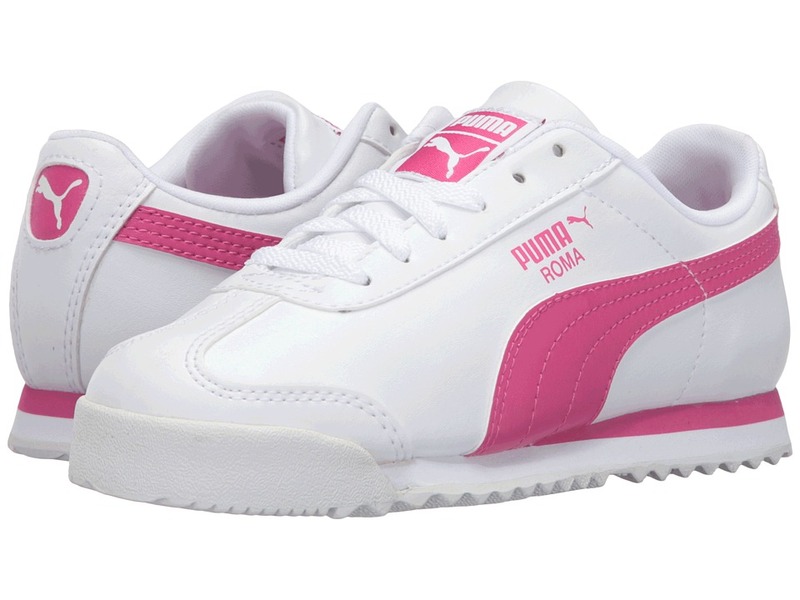 PUMA Cat logo at lateral side toe and heel. Padded collar and tongue for comfort and support. Breathable fabric lining. Removable Kinder-Fit sockliner. Non-marking rubber outsole with rounded driver~s heel. Imported. Measurements: Weight: 4 oz Product measurements were taken using size 9 Toddler, width M. Please note that measurements may vary by size. Weight of footwear is based on a single item, not a pair. 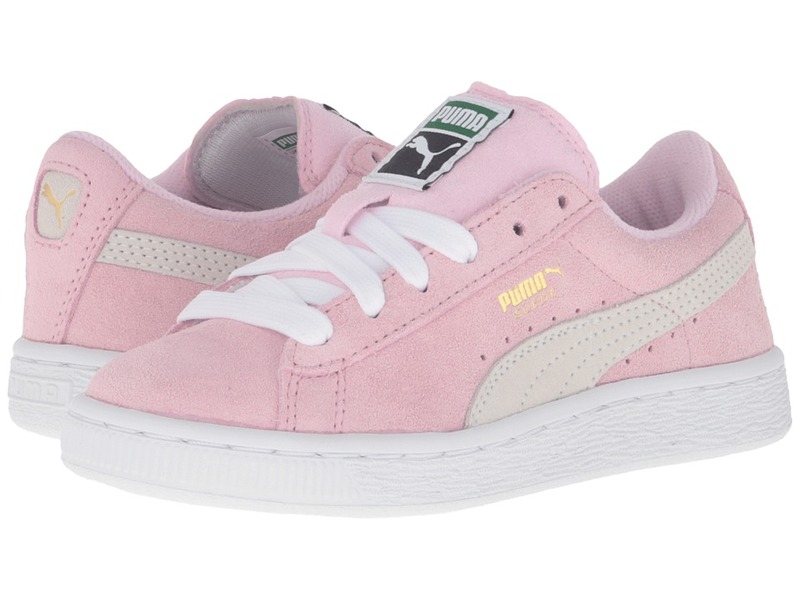 Keep your little one looking fast in the classic vibes of the PUMA Kids Tune Cat 3 PS moto-inspired sneaker! Sleek synthetic leather upper. Lace-up closure. PUMA No. 1 logo on tongue. Contrast PUMA Formstripe at each side. 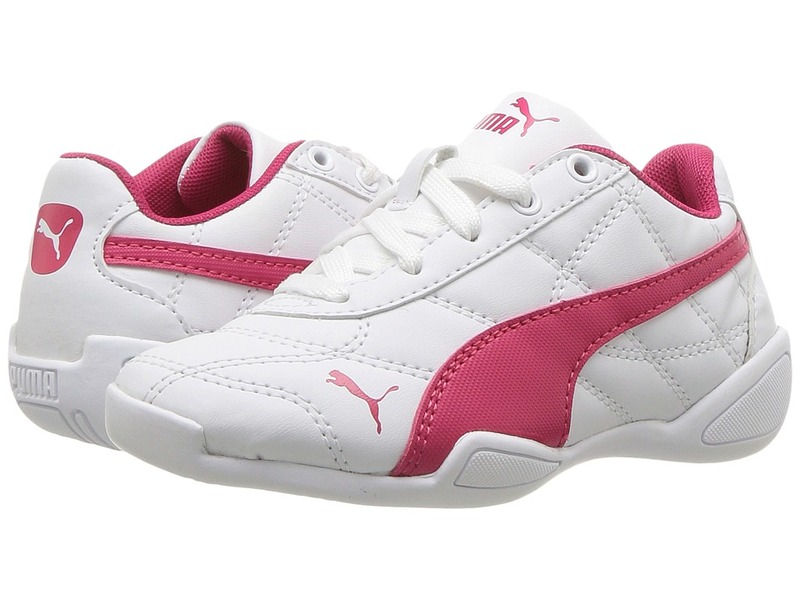 PUMA Cat logo at lateral side toe and heel. Padded collar and tongue for comfort and support. Breathable fabric lining. Removable Kinder-Fit sockliner. Non-marking rubber outsole with rounded driver~s heel. Imported. Measurements: Weight: 6 oz Product measurements were taken using size 2 Little Kid, width M. Please note that measurements may vary by size. Weight of footwear is based on a single item, not a pair. 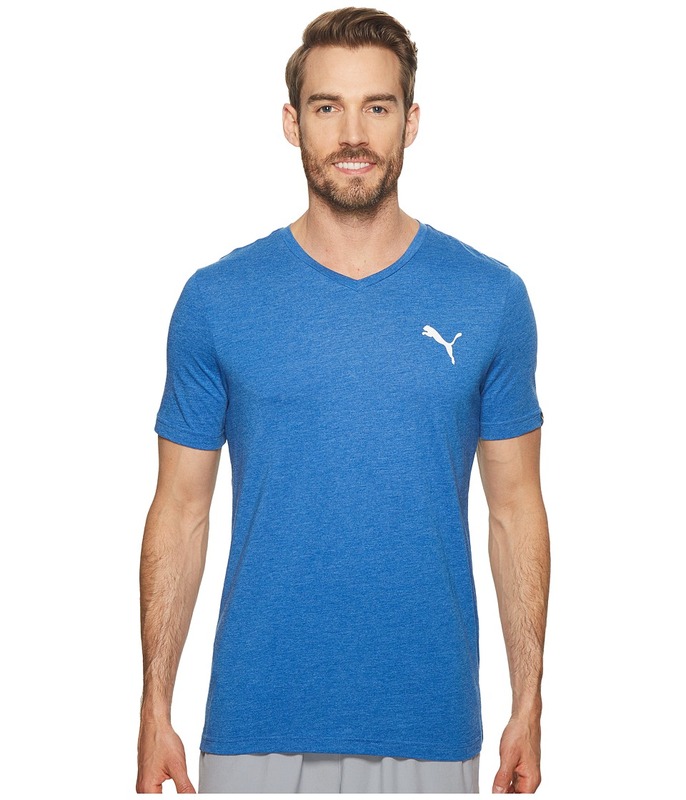 Persist until success happens in this Puma Iconic V-Neck Tee. PUMA Lifestyle apparel marries the essence of sports performance with the refined finishes and detailing of the fashion industry. Classic fit. V-neckline. Short-sleeve feature. Brand logo at left chest. Straight hem. Machine wash, tumble dry. 100 percent cotton. Imported. Measurements: Length: 25 1 2 in Product measurements were taken using size MD. Please note that measurements may vary by size. A look you~ll love for when the weekend arrives! PUMA Performance apparel combines technical fabrics and ergonomic construction to meet the rigorous demands of athletes. Performance fit features slightly wider shoulders, chest, and sleeves to ensure maximum comfort and freedom of movement during play. dryCELL performance fabric wicks away perspiration to promote a comfortably dry personal climate. dryFLEECE material keeps you warm and dry. Elastic waistband with an interior drawcord to adjust your fit. Side seam pockets stores your stuff. Back yoke for an improved fit. Cat logo on left hip. 60 percent cotton, 40 percent polyester. Machine wash, tumble dry. Imported. Measurements: Waist Measurement: 28 in Outseam: 42 in Inseam: 32 in Front Rise: 11 in Back Rise: 16 in Leg Opening: 16 in Product measurements were taken using size MD, inseam 32. Please note that measurements may vary by size. 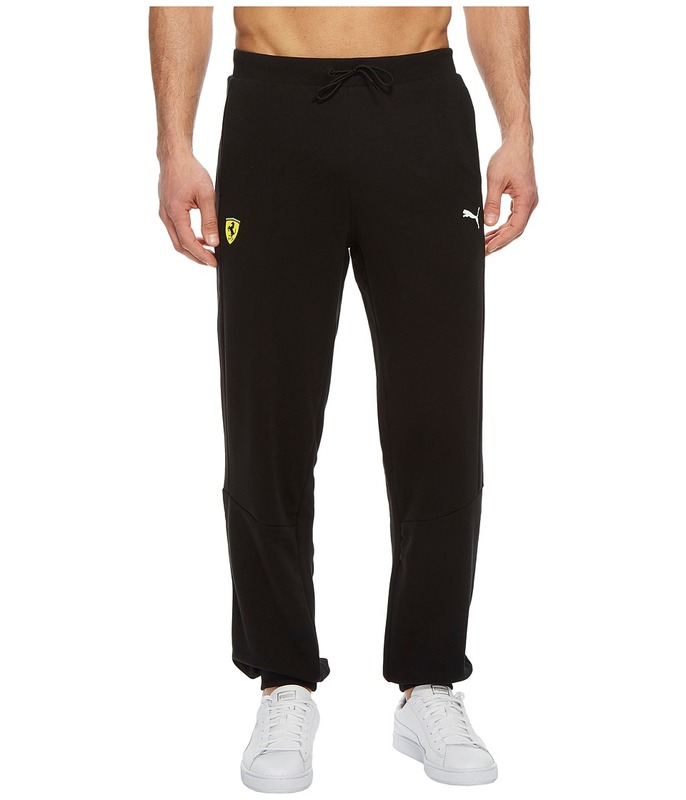 Luxury is your lifestyle in these PUMA SF Sweat Pants. PUMA Lifestyle apparel marries the essence of sports performance with the refined finishes and detailing of the fashion industry. 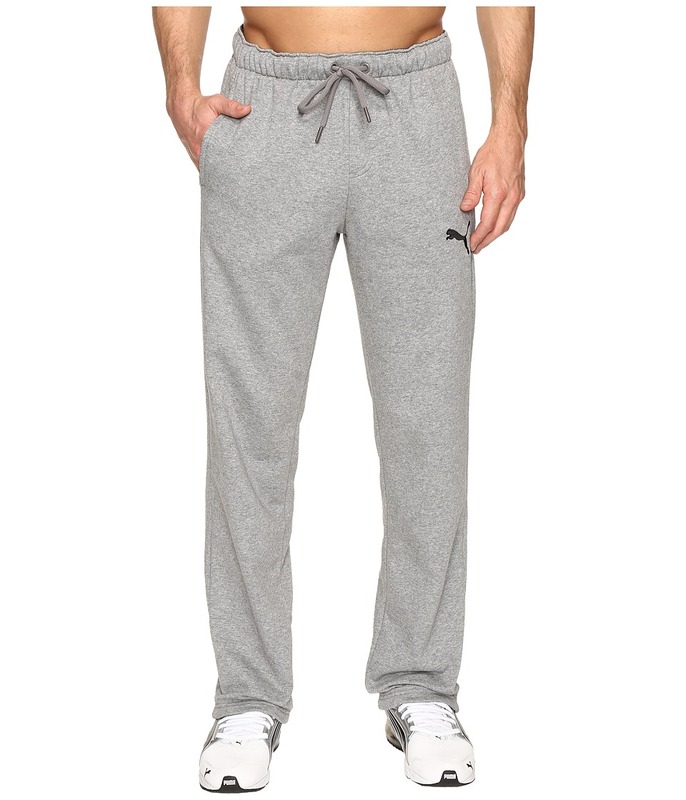 Stretch waistband with an interior drawstring to adjust your fit. Side hand pockets with an additional pocket at back for even more storage. Elastic bands at cuffs create a custom fit. 77 percent cotton, 23 percent polyester. Rib: 95 percent cotton, 5 percent elastane. Insert: 100 percent cotton. Machine wash, tumble dry. Imported. Measurements: Waist Measurement: 29 in Outseam: 41 1 2 in Inseam: 31 in Front Rise: 11 1 2 in Back Rise: 15 1 2 in Leg Opening: 9 in Product measurements were taken using size MD, inseam 31. Please note that measurements may vary by size. The Duplex Classic keeps your look casual and relaxed with on point style. Premium leather and mesh uppers. Lightly padded tongue and collar. Easy lace-up closure for a custom fit. PUMA Formstrip at medial and lateral sides. PUMA cat logo at tongue and heel. Breathable textile linings with a lightly cushioned footbed. Durable rubber midsole and outsole. Imported. Measurements: Weight: 14 oz Product measurements were taken using size 9, width B - Medium. Please note that measurements may vary by size. Weight of footwear is based on a single item, not a pair.